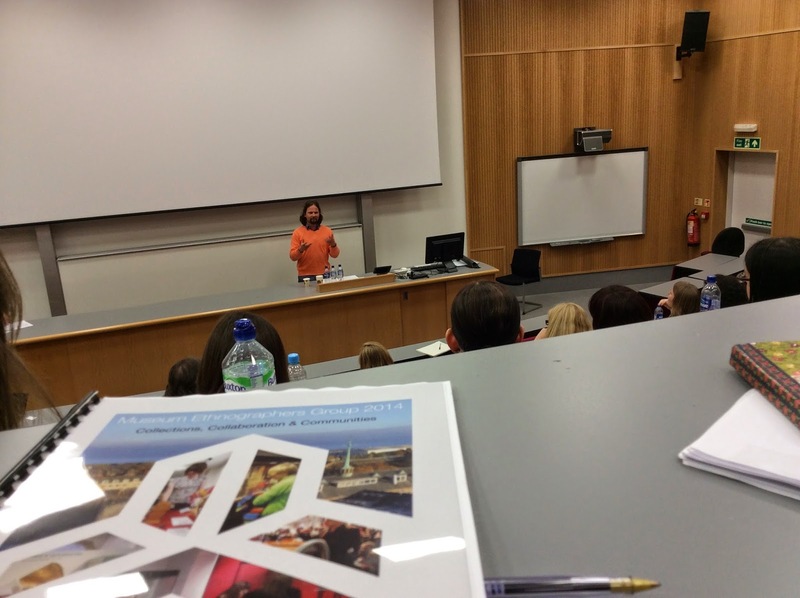 The 2014 Museum Ethnographers Group conference at the University of Aberdeen attracted a wide range of participants including curators, researchers, artists and educators from across the UK, Europe, Canada and the US. 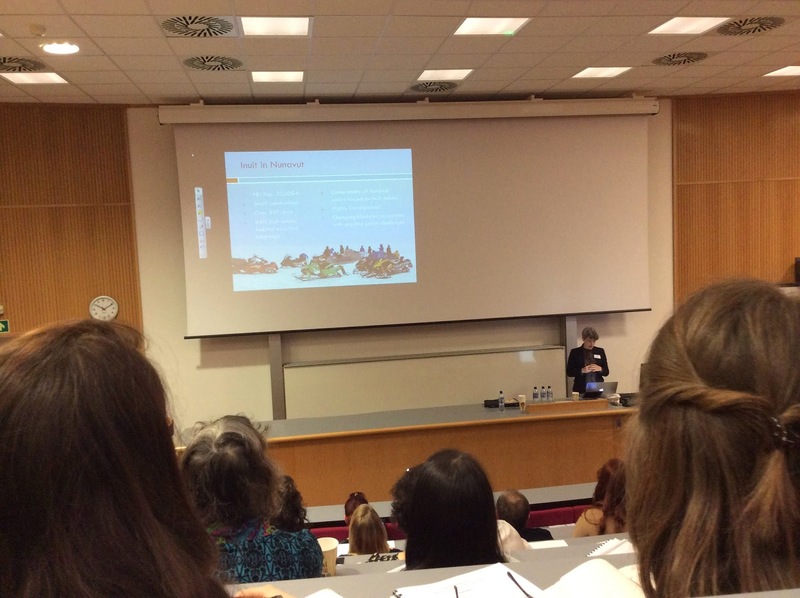 The theme – Collections, Collaboration and Communities – seemed especially pertinent to our times and generated thought-provoking presentations and stimulating discussions. 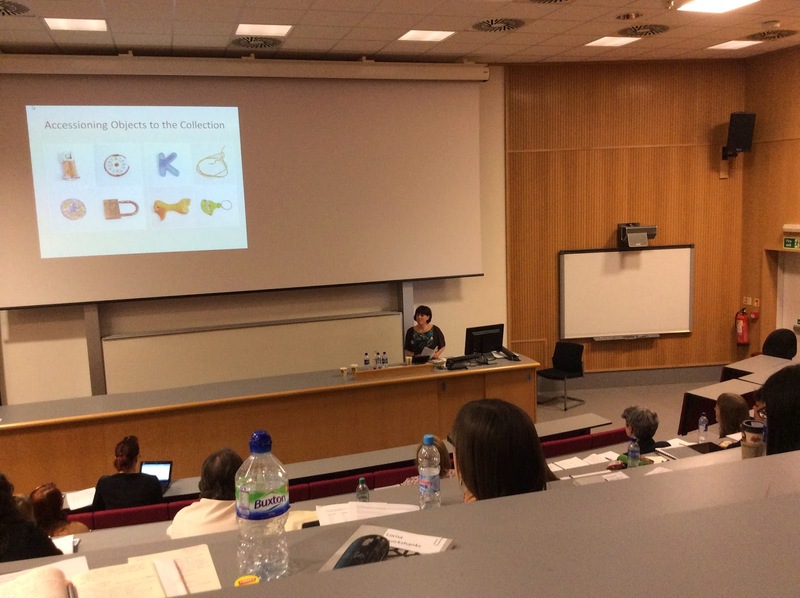 First speaker Astrid Knight set the tone for the two days with her paper ‘Miniatures, Ambiguity and Distortion in Nunavut: The delicate art of sharing values and knowledge in collections-based research on historic Inuit material culture’. Her efforts to elicit collections knowledge through collaborative work with members of a Nunavut Arctic community revealed a fundamental disjuncture between museum and indigenous understandings of what ‘knowledge’ is, who has the authority to ‘give’ it and with whom it can and should be shared. Knight’s useful reminder that ‘collaborative projects do not inevitably bring benefits to the community’ was revisited several times over the course of the conference. Tobias Sperlich and Lace Marie Brogden, in recounting their research into the history and interpretation of First Nations material culture in small museums in Saskatchewan, Canada, talked about the agency of objects to evoke historic relationships formed under colonialism as well as their potential to promote intercultural understanding in a political landscape ‘not yet post-colonial’. Magdalena Buchczyk also addressed the impact of governmental policy in the forming of communities (here the craft communities of Romania) and collections in her discussion of a ceramic collection given by the Romanian government to the Horniman Museum in the 1950s as part of a programme of Cold War reciprocity and cultural relations. Phillip Schorch, in ‘Assembling communities: Curatorial practices, material culture, and meanings’, explored how the application of theory, particularly assemblage theory and hermeneutics, can offer a more nuanced perspective on museums’ work with communities. Communities which, as Eve Haddow showed in her discussion of a project to review Pacific material in Scottish museums, can exist between museums as well as within them, as Sarah Brown and Keiko Higashi from the Powell-Cotton Museum, Kent, were to demonstrate later. June Jones, in her reflections on the repatriation of Maori human remains from a medical collection, and Pauline van der Zee, in addressing the ‘taboo’ of colonialism within Belgian museums, emphasised the emotive aspects of museum work with communities, whether through the process of healing described by Jones or the revulsion felt by van der Zee in encountering the crude manifestations of colonial ideology at the Royal Museum for Central Africa, Tervuren, Belgium. 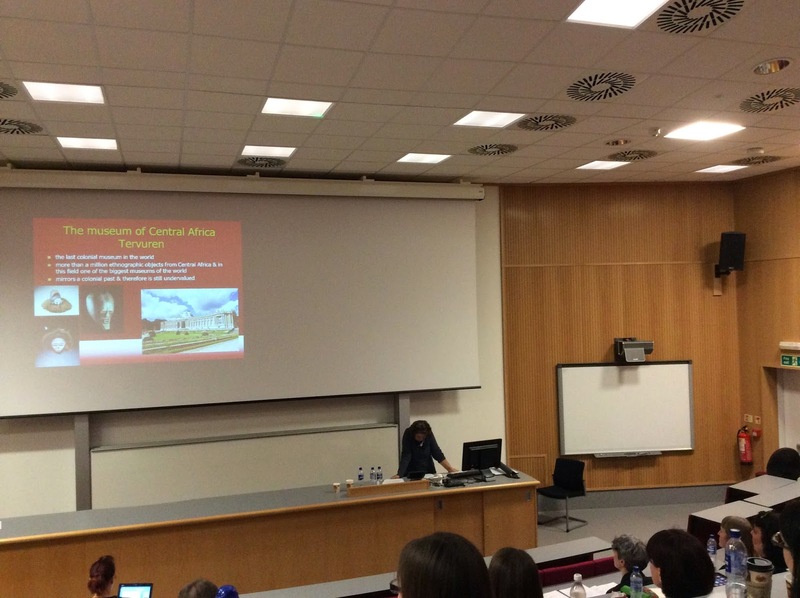 Pauline Van der Zee presents her paper 'Il faut prendre patience Ethnographic collections and the taboo of colonialism in Belgium' The slide shows the Museum of Central Africa, Tervuren. The Museum is currently undergoing a major renovation. A series of presentations by artists working with museums (literally and conceptually) – Katie Smith, Christopher McHugh and Alana Jelinek – revealed some of the tensions inherent in arts practice which attempts to span collections, collaboration and communities. They expressed a concern about the instrumentalism of arts practice and a reluctance to submit themselves and project participants to the agendas of others, including museums or art funders. ‘In general, it does not create good art’ Jelinek noted while Smith reflected positively on a self-initiated museum project, ‘The Moveable Museum of Found Objects’, the result of ‘just sending an idea out’. In her recounting of the British Museum’s experience of running its youth engagement initiative, Talking Objects (TO), Lorna Cruikshanks raised the issue of legacy for museums’ collaborative work with communities. The British Museum had struggled to maintain interest from project participants and for some their Talking Objects experience remained an isolated one. Cruikshanks also hinted at the tension between museum agendas and community ones: most of the TO outcomes remain online rather than in-gallery. While not directly addressed to the conference theme, many of the ‘work in progress’ / ‘short report’ presentations also highlighted the rich seam of activity being conducted by museums in terms of collaborative collections-based work, whether through exploring the ‘relevance to contemporary audiences’ of historic material from the Pacific (Alison Clark), the social worlds that produced a collection of Papuan pots recently acquired by National Museums Scotland (Ross Irving), re-imaginings of the past informed by contemporary realities at the Folklife and Ethnological Museum, Macedonia & Thrace (northern Greece) (Eleni Bintsi), and the creation of new digital heritage resources for Yupik consumption (Jacquelyn Graham). 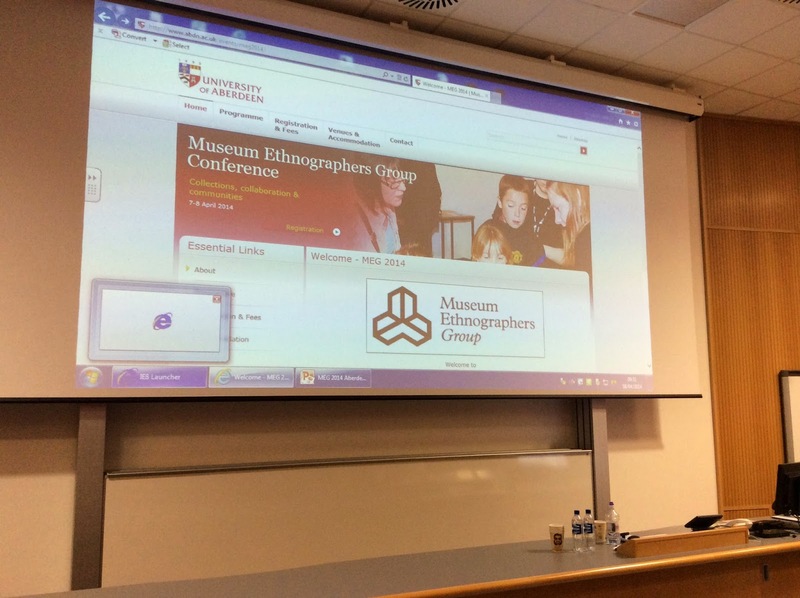 A selection of papers from the conference will be available in the next issue of the Journal of Museum Ethnography (JME) (available to MEG members from April 2015) ensuring the conference findings and discussions contribute to this topical, provocative and productive area of museum discourse. The Metropolitan Museum of Art, one of the world’s finest museums, seeks an Evelyn A. J. Hall and John A. Friede Associate Curator for Oceanic Art who will be a full time member of the curatorial team of the Michael C. Rockefeller Wing in charge of the Oceanic collection. In that role, they will be responsible for all aspects of curatorial work including: recommending acquisitions; the care, study, interpretation, and publication of the collections; developing special exhibitions; cultivating donors; engaging with the academic community; and forging relevant relationships with cultural institutions and organizations in Australia, New Zealand, and across the Pacific. For full details and how to apply visit here. as a Word attachment only with “Associate Curator/Oceanic Art” in the subject line. This conference seeks to explore the notion of museums as living organisms and the multiple questions that emerge from this context. Museums, like living beings, do not live in isolation, rather, they are embedded in complex eco systems. Museums are occupied and given life by people. They are constantly evolving, directly affected by the changes around them, as well as effecting and acting as catalysts for change. Museums Alive! — Exploring how museums behave like living beings, organized in partnership with Migration Museum Project, will be the sixth conference developed by the PhD community at the School of Museum Studies, University of Leicester, and follows last year's highly successful Museum Metamorphosis conference. · How do museums form their identity both internally and externally? · How do museums facilitate the creation of identities, and how in turn are museums’ identities created by the communities they serve? · How might we define living in the context of the museum? · Should museums remain neutral or express emotions? · How do museums as ‘organisms’ coexist and relate to the wider eco system? How do we define what that system is? · How do museums migrate in order to adapt to the environment, not only in ways of living but also in ways of thinking? · How do museums affect the world around them? · How do museums behave in reaction to perceived threats and/or opportunities of change? · How are museums born and do museums get sick or die? Do they mutate? How can we portray a museum’s life cycles? · How can museums use bodily ‘senses’ to respond to, capture and integrate with their visitors and the public? · How do museums collaborate and compete with different types of ‘species’? · How can museums become laboratories or spaces for experimentation? 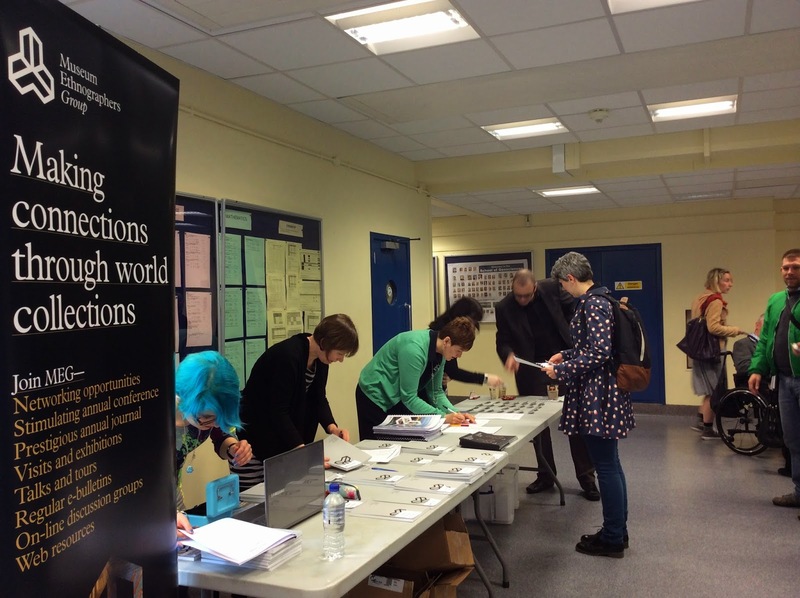 The conference team welcomes all postgraduate students, early career researchers and practitioners who are interested in and researching topics related to the museum field. All disciplines and nationalities are invited to participate. We welcome and encourage creative and alternative presentational styles, alongside the traditional paper. Workshops, panel debates, creative writing, films, installations, visual creations, displays and ignite presentations will all be considered. · Presenters of traditional papers will have 20 minutes to deliver their paper (ending with a 30 minutes Q & A with the whole session panel). · Workshops, panel debates and other alternative formats can either last 30, 45 or 60 minutes (please specify on submission proposal). 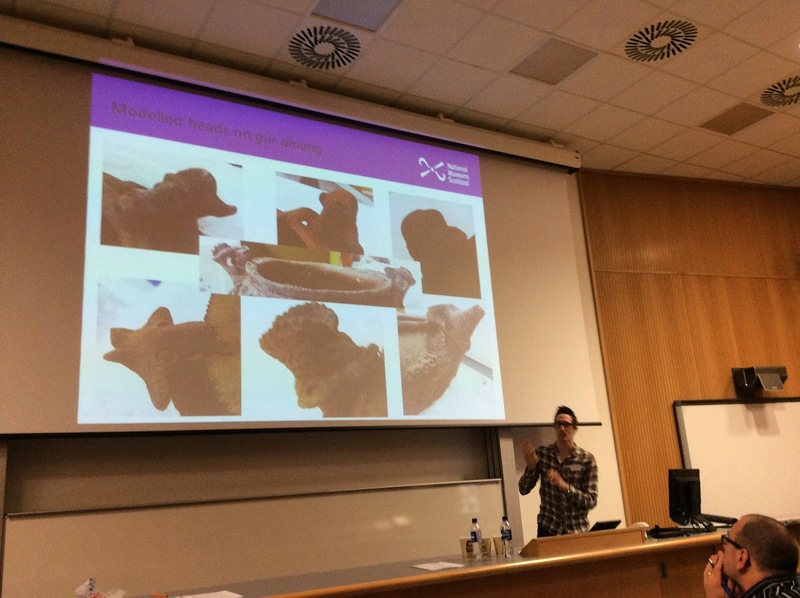 · This year we are also inviting proposals for ignite rapid fire presentations, a great opportunity to spend 5 minutes presenting about a particular project, area of work or piece of research. Successful participants will be notified by mid July 2014. Lunch and refreshments will be provided on both days. In addition, there will be optional social events and museum visits.